This will be interesting. 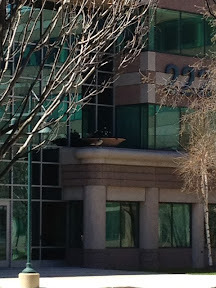 The local goose couple appears to be nesting in the flowerpot up on a ledge of one of the neighboring office buildings. Good question though. How will they manage that?